At one point or another, everyone has been subject to the dreaded buffering wheel when trying to watch a video on YouTube or Netflix. If your Internet Service Provider (ISP) doesn’t provide a fast enough connection, you’ll either see endless buffering that interrupts your stream, or your video playback will be limited to a lower resolution. Finding out if your ISP is up to snuff can be a tricky proposition, but a new tool from Google will help you determine the current state of your Internet service, and what you can do to remedy the problem. 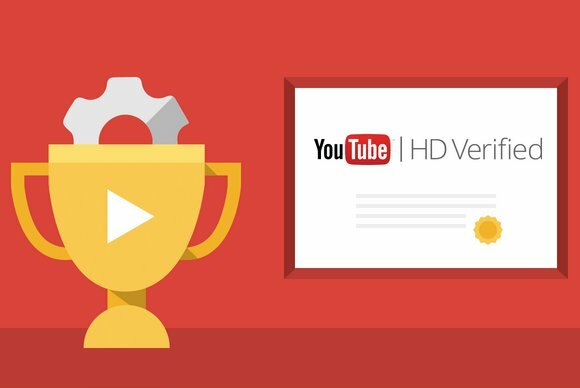 The Google Video Quality Report tool, which is U.S. only for now, has rated most ISPs and created a comprehensive look at how fast the streaming service they provide to YouTube customers is. The tool scans your network to find your ISP, and tells you whether your ISP will routinely stream videos in 720p (HD Verified), 360p (Standard Definition), or worse (Lower Definition). It also pulls competitors’ ISP data into the report so you can determine which ISP provides the best experience in your area—and consider switching. If you’re a data geek, the tool also provides a few charts on when the peak video consumption times are, and what percentage of an ISP’s consumption is in HD vs. SD vs. less. And if you really want to dig into the details, Google provides the full methodology it uses to test YouTube connection speeds on its site.